Mountain Fever Signs Junior Sisk. Mountain Fever Records have signed one of traditional bluegrass music’s torch-bearers, Junior Sisk & Ramblers Choice to their label. Sisk will begin work on a new album to be released March, 2016. There aren’t many vocalists who can wring every bit of lonesome out of a note like Junior Sisk. Hailing from the Virginia Blue Ridge, Sisk first made his mark as a songwriter, penning hits for groups such as the Lonesome River Band in the early 1990s. Several years later, as a member of Wyatt Rice & Santa Cruz and then with Blueridge, Sisk helped define the modern traditional bluegrass sound. He founded Ramblers Choice in 1998, releasing Sounds of the Mountains on Rounder Records to critical acclaim, and after another brief hiatus, reformed the group, beginning what has become a very successful career with chart-topping, hit records to his credit. Sisk’s soulful, heartfelt vocals earned him the International Bluegrass Music Association’s (IBMA) Male Vocalist of the Year award in 2013 as well as the IBMA’s Album of the Year for The Heart of a Song and Song of the Year for “A Far Cry From Lester and Earl.” In 2014, Sisk and his band were honored with the fan-voted award of SPBGMA’s Bluegrass Band of the Year. When two of his band members released solo projects on Mountain Fever Records; Jason Davis with Second Time Around and Jamie Harper with Goodbye Old Pal, Sisk began to take note of the label and the work it was doing with its artists. I had given great thought to my future and the path I wanted to take which would result in making some significant changes and gaining more control of my business. I kept hearing such great things about Mark Hodges and Mountain Fever. Mark and I became friends over a very short period of time and I really feel like we are on the same page about my music. It’s going to be a brand new start for the band with a new label, a new bus, a new website, and new songs on a new CD, and I’m also handling the booking in house. It’s going to be an exciting time for us all and I can’t wait to get started with Mountain Fever – Junior Sisk. I’m thrilled beyond words to have my good friend Junior join our family here at Mountain Fever. I’ve been a fan of Junior for many years as well as a fan of the individual members of Ramblers Choice. We’ve had the opportunity to work together on previous projects and it’s always been very easy. I’m especially looking forward to working on this next album with Junior and the band who are a perfect fit to an already stellar lineup of great talent here at the label – Mark Hodges. Junior Sisk & Ramblers Choice will begin recording their debut album for Mountain Fever Records this fall with an expected release in March of next year. For more about Junior Sisk & Ramblers Choice, visit www.juniorsisk.us. For more about Mountain Fever Records, visit www.mountainfever.com. Rural Rhythm Records has announced the new single release, My Name Is Jimmy Martin (Do You Remember Me?) from the upcoming album, Portrait Of a Bluegrass Songwriter by Ray Edwards & Hard Rock Mountain. Marty Raybon, Russell Moore, Darrell Webb, Lou Reid, Christy Reid and Ray Edwards all contribute their vocal talents to the new single. Musicians include: Ray Edwards on banjo; Bobby Wood on mandolin; Mike Wood on rhythm guitar; Doug Campbell electric bass; Jimmy Martin Jr. on Snare Drum; and special guest, Michael Cleveland on fFiddle. Jimmy Martin has always been Ray Edwards’ bluegrass hero, so when Jimmy passed away in 2005, Ray decided to pay tribute to Jimmy in song and tapped his long-time friend Larry Cox to help him co-write the composition. A brilliantly written song performed by some of the greatest musicians and singers in the business. I was honored to play snare drum on the session and I know Dad would be proud – said Jimmy Martin Jr. Portrait Of a Bluegrass Songwriter is part of the new Sage Brush Music / Rural Rhythm Records Songwriters Album projects. Sage Brush Music is a sister division with Rural Rhythm Records and is working together to showcase the talents of top songwriters in our genre. 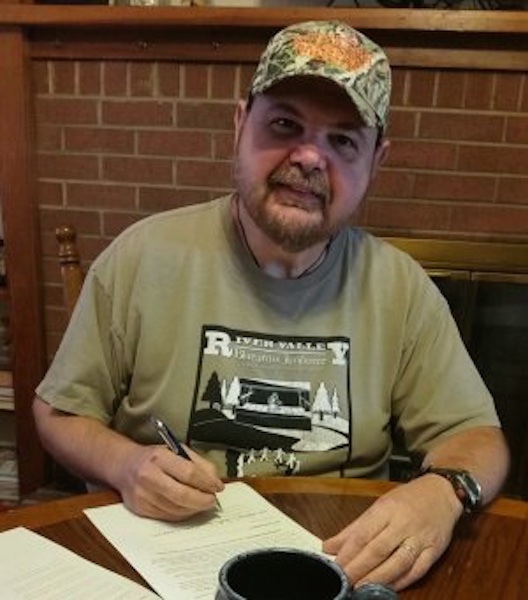 Rural Rhythm’s first album project which showcased a top songwriter was the IBMA and Dove nominated album Look To The Light: Songs Of Faith By The Pen of Rick Lang. Although the songs were not under the Sage Brush Music banner the project gave birth to the concept of showcasing top songwriters in special album project format. Ray Edward’s association with Sage Brush Music is not a new one. Both have teamed up with great success in the past with the #1 song Hard Rock Mountain Prison (‘Til I Die) by Russell Moore & IIIrd Tyme Out, the gospel hit song Over In The Promised Land by Lou Reid & Carolina, and the current single by Lou Reid & Carolina Carolina Moonshine Man. Ray Edwards is a two-time world champion banjo player. He has toured and recorded for over thirty-years with the likes of Randy Travis, Tom T. Hall, Jeanie C. Riley, Ed Bruce, Lynn Anderson, Sammy Kershaw and many more. Ray’s songs have been recorded by George Jones, Tom T. Hall and more. Stay tuned for upcoming announcement and an all-star line-up appearing on Portrait Of a Bluegrass Songwriter at RuralRhythm.com. Radio stations can download the new single at AirplayDirect.com. The Arhoolie Foundation was established in 1995 to document, preserve, present and disseminate authentic traditional and regional vernacular music to educate and enlighten the public and also support and reinforce traditional community values. 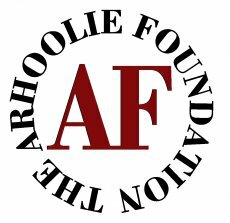 The Arhoolie Foundation was classified by the IRS as a public charitable and educational non-profit organization with a 501(c)(3) status, which means all your donations are fully tax-deductible. Although the Foundation shares its name with Arhoolie Productions Inc., a for-profit, it is not a successor to that Corporation. The Arhoolie Foundation does not control and is not controlled by the Arhoolie Corporation or any other organization. For sixteen years the Arhoolie Foundation has been successful in preserving and sharing vernacular music through exhibitions, documentaries, and partnership with academic institutions. We have been able to accomplish much with the help of many friends and people like you. As the year closes, please consider supporting the work of the Arhoolie Foundation so we can continue our efforts to document, preserve, present and disseminate authentic traditional and regional vernacular music. This year the Arhoolie Foundation received help from many friends in our drive to raise funds to support our largest project: the digitization and dissemination of the Frontera Collection, the world’s largest collection of Mexican-American recordings. The Frontera Collection consists of 78s, 45s, 33s and cassettes with over 140,000 songs that share the stories of our nation’s fastest growing minority. Over the next four months, the foundation needs to raise $40,000 in order to get a similar amount from the National Endowment for the Arts (NEA) and the National Endowment for the Humanities (NEH). This means that for every dollar you are able to donate we will receive two dollars! In addition to our continued work on digitizing the Frontera Collection, recent months have seen the release of the DVD Down Home Music: A Journey Through the Heartland 1963, and Squeezebox Stories, a radio documentary about the stories and rich traditions of the accordion in California’s diverse cultural landscape. We are cooking up some good projects for the coming year and we want to work with you to help make it all happen. Please help the Arhoolie Foundation in our goal to carry the wonderful music and traditions that we care so much about far into the future. Your tax-deductible contribution will be matched by the NEA and NEH, and you will join Ry Cooder, Taj Mahal, Laurie Lewis, the Savoy Family, the Campbell Brothers, and others who are helping us fulfill our mission – Chris Strachwitz Arhoolie Records. Check out their latest projects at arhoolie.org and let’s work together to preserve great vernacular music. Donations can be made by check, sent to: The Arhoolie Foundation, 10341 San Pablo Ave, El Cerrito CA 94530. You may also donate through PayPal. Ever wanted to preview several albums from the one visit? Here’s a great initiative from Rounder Records providing sample tracks from a variety of their artists on the Rounder Label. Click here to go to the Rounder Records Sample Page. Rounder recording artists earned awards from the Americana Music Association (AMA) at last Thursday’s 10th Annual awards show held at the Ryman Auditorium in Nashville, TN. Robert Plant & The Band of Joy’s album Band of Joy won Album of the Year – an honor he also received in 2008 for his Rounder album Raising Sand with Alison Krauss. His Band of Joy band mate Buddy Miller picked up his second win for Artist of the Year and fourth for Instrumentalist of the Year. The legendary Gregg Allman accepted his Lifetime Achievement Award for Performance and Alison Krauss & Union Station Dobro player Jerry Douglas received the Lifetime Achievement Award for Instrumentalist. All listed below. Steve Martin and The Steep Canyon Rangers Win Entertainer of the Year Award. Rounder Records is celebrating the achievements of their recording artists who garnered multiple awards from the International Bluegrass Music Association (IBMA) at last Thursday’s 22nd Annual awards show held at the Ryman Auditorium in Nashville, TN. 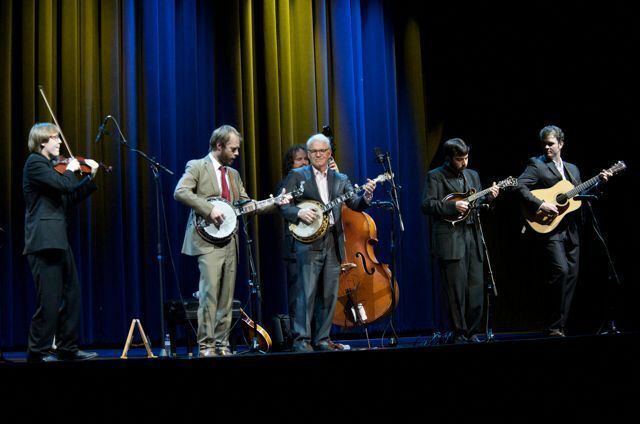 Steve Martin & The Steep Canyon Rangers were named Entertainer of the Year – an award that they were “really honored” to win and jokingly thanked the other nominees for losing. Martin won his first IBMA award in 2009 for Best Liner Notes for his Rounder debut album The Crow. 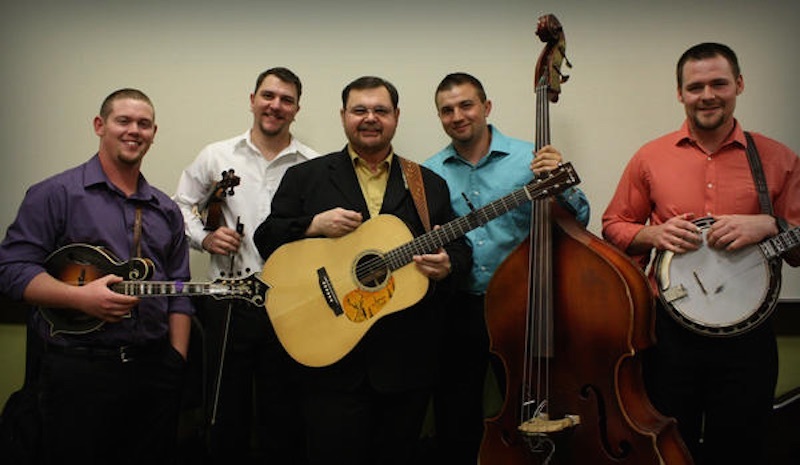 Michael Cleveland & Flamekeeper won 2 awards: Instrumental Recorded Performance of the Year for their song “Goin’ Up Dry Branch” from their latest album, Fired Up, and Fiddle Player of the Year – Cleveland’s 9th win in that category. Blue Highway’s Rob Ickes received his 13th consecutive win for Dobro Player of the Year – the most a single instrumentalist has won in the history of the IBMA awards. Pinecastle has announced that these long out of print, these classic Webco recordings are now available for download at your favorite online retailer including Amazon MP3 and iTunes. Pinecastle Records purchased Webco Records of Virginia in 1993 which marked the beginning of fruitful relationships with artists like Larry Stephenson and The Reno Brothers. These ten recordings were either existing releases on the WEBCO label or, in the case of the WEBCO Classics series, compilations released after the Pinecastle purchase. Additionally, Radio DJs and radio stations may download these and other albums from the Pinecastle catalog from AirPlay Direct. Rural Rhythm Records has signed up Cumberland River and will soon release details of their upcoming album. The group includes the instrumental, songwriting and vocal talents of James Dean, Joseph Jones, Dunstan Middleton, Jamie Stewart and Andy Buckner. the group has been in the studio with producer, Steve Gully recording their new album. …they are real mountain men with a story to tell and a unique, special way of telling it. If you’re looking for pure, honest music full of unabashed emotion, look no further. You’ve found it! Cumberland River is raw emotion personified – Steve Gulley. Due to overwhelming fan requests and excitement for this new version, Rural Rhythm has gone ahead and made the song available now for digital purchase as a special pre-album promotion. The song is also available to Radio via AirplayDirect.com. The song actually came about as a result of an invitation to perform for the writers and producers of Justified, while in Harland gathering information for the show. With only 24 hours to spare before their performance, Cumberland River got together and composed Justified in a style that certainly fits the show. Since that time, five additional songs from their 2010 self released album have been included on the Wednesday, 6th April 2011 episode which will air on the FX Network. Cumberland River‘s upcoming new project will include a collection of heart felt songs and haunting ballads written by the band and their family members taken from their life experiences and campfire stories from Harlan County. We feel this is a dream come true for the band. We could never have imagined we would be on a major label working with some of the best bands in bluegrass, and working with such an awesome producer as Steve Gulley. We are truly humbled that Rural Rhythm is willing to take a chance on bunch of country boys from the mountains of Harlan, Kentucky – Cumberland River. For more information on Rural Rhythm Records and for radio request, please contact Sammy Passamano III at Rural Rhythm Records. 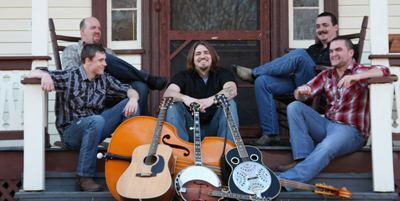 Grasstowne is celebrating the success of their first single, Kickin’ Up Dust the title track from their album. The song currently appears at #3 on SiriusXM Bluegrass Junction’s Most Played Tracks that was also named one of the Best Song of the Year by Terry Herd’s program on the Bluegrass Radio Network called Into the Blue. 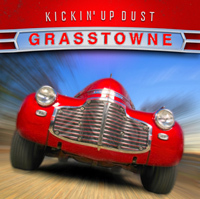 Fans have certainly been noticing the 1941 Chevrolet Coupe on the album cover for Kickin’ Up Dust. Alan Bibey gave a little info on the car saying, “Johnny Cates, from Tobaccoville, North Carolina, and a friend of my wife’s family, has owned the car since he was in high school. He told me I was the third person to ever sit behind the wheel and I was the only non-family member to ever do so. It is an awesome car”. For more information on Grasstowne, including a full tour schedule, bios and more information, please visit www.grasstowne.com For more information on Rural Rhythm Records, please visit www.ruralrhythm.com.